Since 1994, World Music Expo has been attracting musicians, agents, press agencies, as well as media companies from all over the world. Its main exposition event has been held in various locations throughout Europe: Berlin, Brussels, Marseille, Stockholm, Seville, Cardiff, and Budapest to name a few. This year, the annual WOMEX exposition will be held in Las Palmas, Gran Canaria. Partnering with Stingray DJAZZ as its official media partner, we present seven not-to-miss shows in WOMEX 2018. Decentralising control, creating transparent systems, and streamlining information – blockchain promises to do all this, and possibly more in the context of many industries, the music industry being no exception. In this session, we look into the technology and its potential impact on various facets of the industry and its stakeholders. In particular, what significance does blockchain hold for bringing the creative community closer, and remedying the problems of copyright, collections, and distribution in a creative economy that is continually struggling to find its balance between the old and the new, the traditional and the contemporary? We explore these questions from the perspectives of the artists and innovators who have been developing and working with this technology. What are underground and niche markets? And how are online platforms affecting them? Online audio and video streaming has opened up channels for niche and underground musicians to market and export themselves internationally. We see more and more underground sounds presented in international popular music festivals, especially within the electronic music scene, due to the breaking down of barriers through online platforms. In this panel we will look into how current online platforms expose underground music and the effects this has. We also look into what strategies are working best to market underground sounds internationally and how this marketing affects acceptance into more ‘mainstream’ events. Lastly, we shine the light on the growing climate of audiences who are more and more international and open minded to new sounds with online sites fast-tracking globalisation and music cross-fertilisation and what these online platforms are doing to encourage underground growth and exposure. Global revenue of sync licenses in movies, games and tv has increased by 10% in the last year – and the prospects are continuously rising. But the collaboration between musicians, copyright owners and supervisors is rather an exception than the rule. Therefore we are inviting supervisors from two different fields – films and ads. This will be the playground where you can – meet, greet and network with two global players of sync – Pia Hoffmann (movies) and Markus Linde (ads). What are the differences? Where is the intersection? Where can you meet supervisors and how can you approach them? How can synch agents support you? Which online tools do they all prefer? Ask your questions and get feedback. 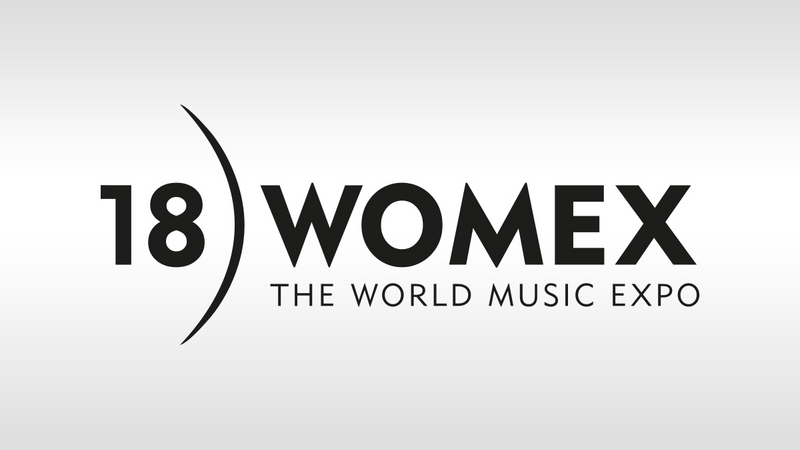 Since the introduction of the WOMEX Award in 1999, the list of extraordinary artists and professionals from our community deserving of this special praise has continued to grow. The award honours exceptional achievements in world music on the international level; musical excellence, social importance, commercial success, political impact, lifetime achievement – any or all of these might make one a worthy recipient. Invisible World is based at the jazz crossroads where East European and Mediterranean influences merge and caper off in new directions. Led by Czech bassist Tomáš Liška, a prolific ideas man of many projects, joined by Turkish violinist Efe Turumtay, Serbian accordionist Nikola Zarić and Moravian drummer Kamil Slezák. They say their approach is not based on individual exhibitions, but rather on a philosophy where music is a clear and crystalline medium which irradiates a rich palette of emotional hues, inspired by melodies which are adorned by a subtle and seemingly effortless lacework of improvisation. We say it’s a tight-knit ensemble of like minds drawing on their varied backgrounds to create an original mix that has excited audiences at both jazz and world music festivals from Cairo to Japan. Doubtless more to come. The Gullah communities of the South Carolina and Georgia coastlands trace their language and culture back to their West and Central African ancestors. Among their unique contributions to African-American culture is a deep repertoire of spirituals and work songs, carrying the poetry of defiance and hope in extreme hardship. Ranky Tanky mine this rich musical seam, setting the traditional spirituals, children’s rhymes and dance music into jazzinfluenced arrangements, fronted by the voice of one of the low-country’s most celebrated vocalists, Quiana Parler, Instrumentalists, Quentin Baxter, Kevin Hamilton, Clay Ross, and Charlton Singleton, previously played together as a jazz quartet in the late 1990s, reuniting after 20 years for this project. Their eponymous debut album was released in October 2017. Just five months later it was listed number one in the Billboard jazz charts. With a wealth of experience in a wide range of musical backgrounds the four members of ‘Ndiaz come together to realise their vision of dance-inducing, acoustic trance music; a blend of sounds drawing on Brazilian forró, Middle Eastern jazz, Indian rhythms and Romanian doina, skilfully distilled through a Breton filter. Trumpeter, bombardista, flautist and tuba player, Youn Kamm was formerly a member of digital folk experimentalists Alembig Electric and also plays with Ibrahim Maalouf; percussionist Jerome Kerihuel studied his art in India and has played with many leading Breton artists; saxophonist Timothée Le Bour is a ubiquitous presence in many projects as well as his Le Bour-Bodros group; accordionist Yann Le Corre unites traditions of Brazil and Brittany. Together, their singular sound has become a highlight of the major festnoz gatherings in Brittany and further afield. Voodoo blues, Haitian rock and Creole roll; whatever it gets called, Haitian exile in France Moonlight Benjamin’s latest project is a riff-heavy, groove-laden sonic concoction built on the tension between her powerful voice and saturated electric guitars provided by Matthis Pascaud of French experimental thrash-rock group Square One, driving along her songs based on writings by dissident voices of Haitian literature such as Frankétienne, Georges Castera and Anthony Lespès. It’s a broader exploration of the musical themes of her previous, more traditional solo projects and her ongoing work with Cuban pianist Omar Sosa and Guadeloupean saxophonist Jacques Schwarz- Bart in their Creole Spirits show: the African roots of voodoo culture and its journey to the Americas and its immeasurable influences on popular culture. Here, Moonlight Benjamin forges Haitian voodoo with heavy blues rock into an unstoppable new style. Bakolo Music International represents the pioneers of the golden age of Congolese rumba. Singer, guitarist and grand survivor Nzofu Moko Buele, known to all as Bikunda, is carrying on a torch first lit in 1948 by ‘Papa’ Wend Kolosoy, the ‘father of Congolese Rumba’ and composer of the first Rumba hit song, ‘Marie-Louise’. The young Bikunda was in the first line-up of Wendo’s band that remained highly influential over the next decades until the mid-60s when Wendo retired after falling out with the Mobuto regime. In 1997, Wendo returned, reuniting with Bikunda and several other original members, and went on to tour the world, as documented in the highly-acclaimed film, On the Rumba River. After Wendo’s death in 2008, Bikunda determined to carry on his legacy as long as he can. The rumba river rolls on.